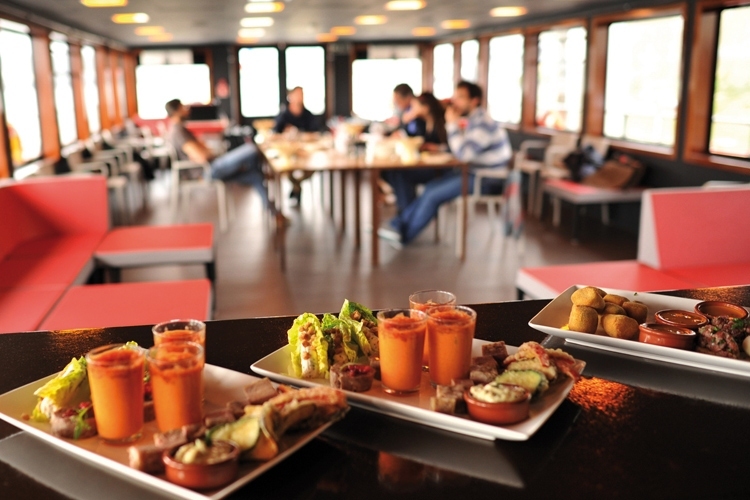 Unique to Bordeaux, our boat-restaurant welcomes you to cruise with lunch served at table. 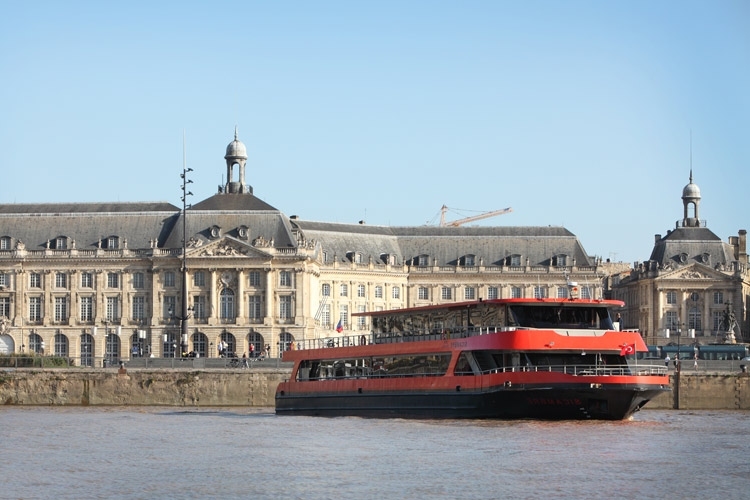 During the trip, you will discover the city and its UNESCO listed World Heritage architecture, the bridges of Bordeaux: the “Pont de Pierre”, the “Pont d'Aquitaine”, the new lift bridge “Pont Jacques Chaban-Delmas”, right up to the Bassens port areas and the cruise-turning point at “Chateau Grattequina”. 12.30 Start of the river cruise, paralleling Bordeaux’s World Heritage quays. 14.30 The boat arrives back at the quay. 15.00 End of our services.